Hunting for one of the most desirable trophies in the world - Marco Polo Argali! Marco Polo Argali one is considered to be one of the most desirable trophies among mountain hunters all over the world. Mid-Asian Ibex can be harvested as an additional trophy at the same hunting area. The hunt is done in Kyrgyzstan in Tian-Shan mountains, quite closer to Pamir also called "Roof of the World". 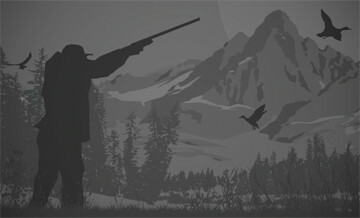 The hunt is conducted with horseback riding most of the way and stalking by feet before shooting, in the other words - Classic of a real mountain hunting. For sure it will be great challenging experience for any hunter, who is ready to visit mysterious Asia and try his luck in hunting for these magnificent animals. Fortune always smiles on brave men, hopefully you will be the next one!